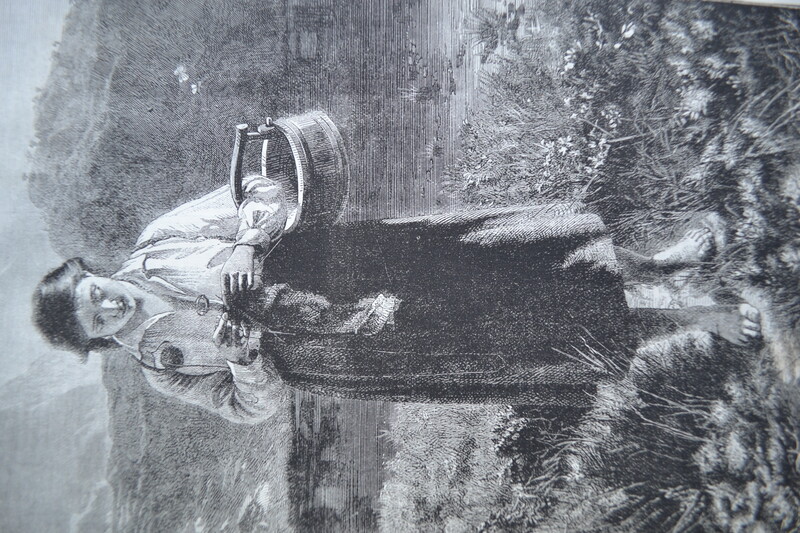 This illustration from a story in The Girl’s Own Paper shows Elsie, a Highland lass. Orphaned and caring for a sick brother she supplements their meagre earning from growing vegetables by selling her knitting. Stories of rural Scottish women knitting as they went about other work are well known. I have seen photographs of women on Shetland knitting as they carried peat, as Elsie in this story carries her pail of milk. This story is set in the West Highlands, I suspect to the 19th century tourists who started to visit rural Scotland (made more popular by Queen Victoria’s enthusiasm for the Highlands and the expansion of the railway) found the sight romantically picturesque. although in reality the life must have been grindingly harsh. I’m not quite sure how Elsie’s ball of yarn is supported. It seems to be suspended by something round her neck. Something to investigate, but if anyone knows do tell me. I’ve just got back from 10 lovely days in the Lot region of France. Of course I packed some knitting. But I found alpaca yarn and hot weather is an uncomfortable combination so I doubt if I got more than a couple of inches added to my wrap. Hey ho. 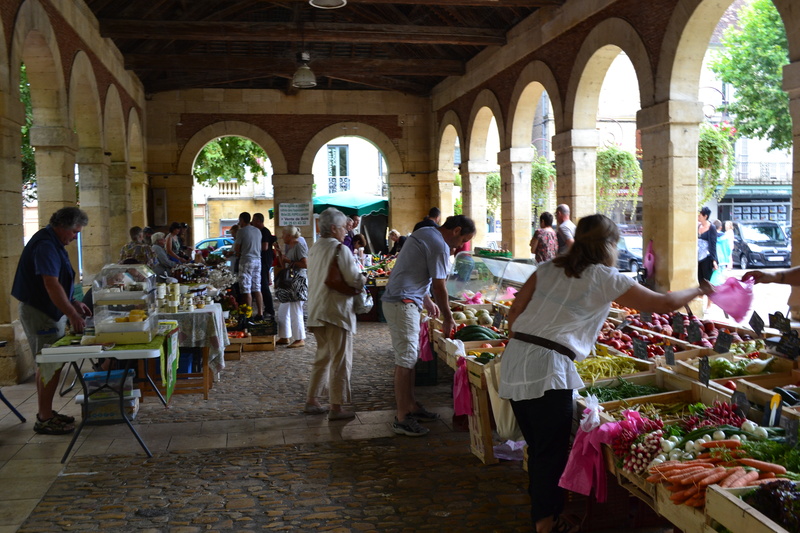 In the little villages we explored there were delightful food markets of course – but I didn’t come across any yarn shops so no store review this time. But one evening I started to teach my niece to knit. She is about to go off to art college to do a textile course so she probably has a an affinity with all things yarny and certainly she appeared to be a natural. But it was hot and sticky for her too so we didn’t persevere for long. I won’t see her again till Christmas. Next time I’m at a yarn store I intend to choose some needles, yarn and a beginner’s guide and post them to her. And at Christmas I’ll pick up on teaching her person to person again. This is sheer self-interest. It’s my bid for a little bit of immortality – you never forget who taught you to knit and hopefully when she is a little old lady wrapped on gorgeous hand-knits she’ll occasionally think of the batty auntie, long gone, who set her off.